Ernest Howard Turnbow was born June 5, 1936, in Hohenwald, Tennessee. He passed away after an extended illness Saturday, December 08, 2018, in Lawrenceburg, Tennessee at home with his family by his side. 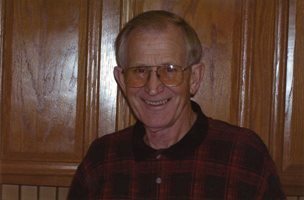 He was retired foreman/plant manager from International Paper and a member of Salem Church of Christ. He was preceded in death by his parents, Clabe Homer Turnbow, Bertha Mae Ammons, his sisters, Evelyn Gray and Willadean Kelly; brothers, Homer Turnbow, E. F. Turnbow, and Melvin James "Jiggs"; and son, David Howard Turnbow. He is survived by his best friend and love of his life, Rubel Thompson Turnbow; his children, Anita Gaile (Kenny) Baldwin, Paul Timothy (Cindy) Turnbow, and Laurie Ann (Jeff) Jacobsen; seven grandchildren; numerous great-grandchildren; one great-great-grandchild; brothers-in-law; sisters-in-law; numerous nieces and nephews; and many loving friends. Arrangements are being handled by Neal Funeral Home, 231 N. Military Avenue, Lawrenceburg, Tennessee. The family will receive friends from 12:00 PM to 2:00 PM Monday, December 10, 2018, at Salem Church of Christ. Funeral services will be conducted at Salem Church of Christ at 2:00 PM Monday, December 10, 2018, with Larry Murdock and Keith Barnett officiating. Interment will follow at Pleasant Grove Cemetery in Lawrence County, TN. Family suggests memorials be made to Salem Church of Christ, Hospice, or any animal or wildlife organization of your choice.